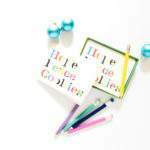 Gift Wrap Organizing Products | Tame the Gift Wrap! 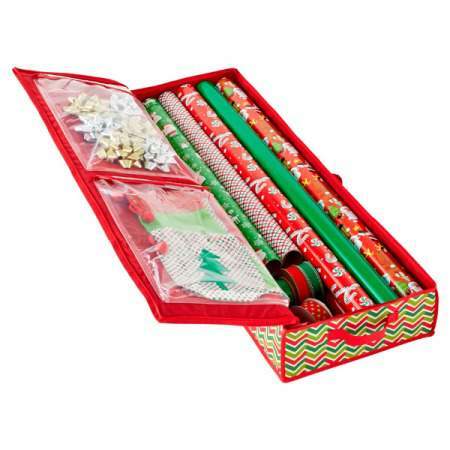 You are here: Home / Organize / Holidays / GIFT WRAP ORGANIZING PRODUCTS: LET’S TAME THE GIFT WRAP! 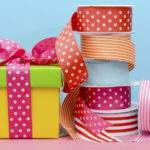 GIFT WRAP ORGANIZING PRODUCTS: LET’S TAME THE GIFT WRAP! I'm not sure why, but I truly have a love affair with gift wrap. BUT...it's definitely one of those household items that can get a bit unruly to store. 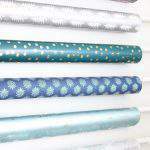 Today's post is all about taming your gift wrap with gift wrap organizing products. 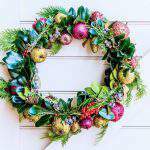 In the days leading up to Christmas, most of us are surrounded by stacks of gifts that are in need of wrapping. Perhaps this is the only time of year you find yourself knee-deep in wrapping paper rolls, gift tags, and bows. 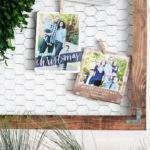 For many of us, we find ourselves frequently accessing the gift wrap supplies throughout the year for wrapping birthday gifts, hostess gifts, Mother's and Father's Day gifts and graduation gifts. 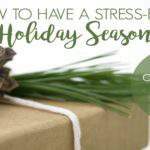 Whether you use gift wrap supplies regularly or once a year, having an organized storage solution in place for these supplies will help you to complete the task of gift wrapping as painlessly as possible. So let's explore some common types of organizing solutions that you can consider in your quest to tame the gift wrap! Another common place to stow away gift wrap materials is under the bed. The shape of gift wrap rolls (small and long) make them great candidates for under-the-bed storage. 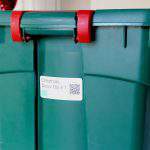 If this particular storage area of your home has been under-utilized, you may want to use an under-the-bed storage tote for corralling your rolls of gift wrap, as well as ribbon and gift tags. 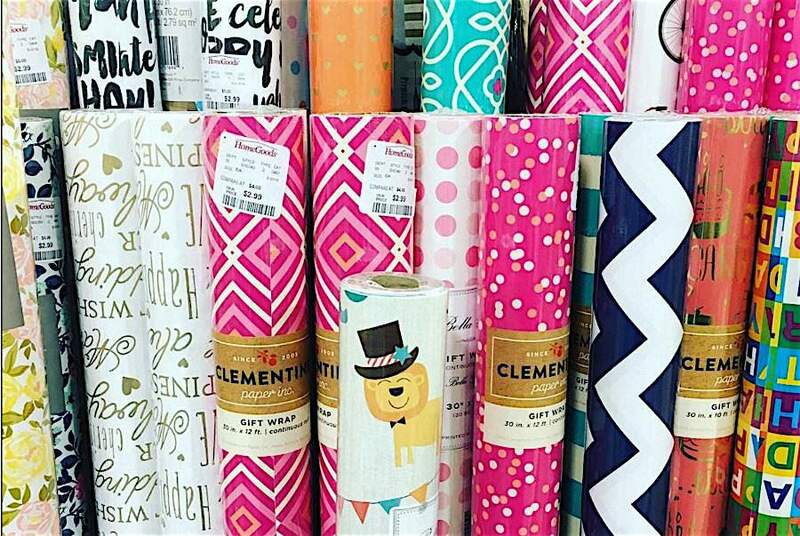 Which one of these gift wrap organizing products will work best in your home? Have another storage solution that you love? I’d love to hear about it. Happy Wrapping! Will do Angie. Thanks for stopping by! Thanks so much for stopping by Sarah! I need to do this. We have four birthdays close to Christmas and a crawl space in disarray. The idea of rolling out a cart with everything set up is dreamy. I’m going to get this accomplished this weekend and even store extra scissors and tape in there. Thanks so much Nat! 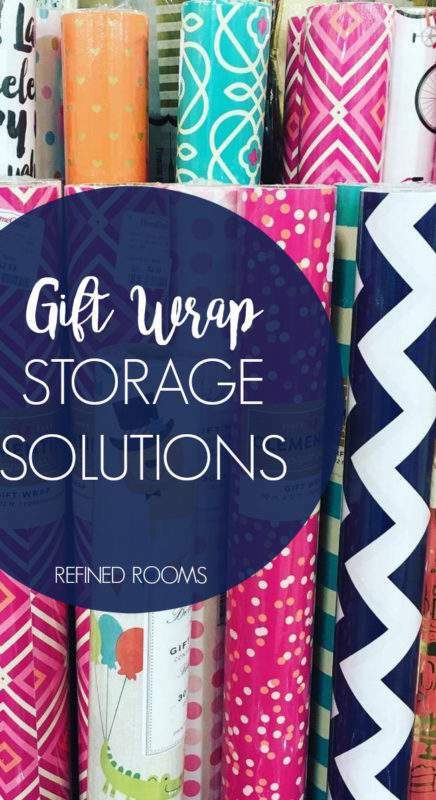 Wow, your situation definitely calls for an organized gift wrap station! We also have “holiday birthdays” in my home, and I can speak from experience that having all of the gift wrap accessories/tools in one centralized place helps keep Gift Management Chaos to a minimum! We store rolls of wrapping paper and oversized decorations in an old Rubbermaid laundry hamper. We bring it upstairs when it’s time to decorate, and take it back down when the season is over. Thanks for stopping by Janet! 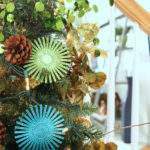 I love your method…a great example of repurposing!